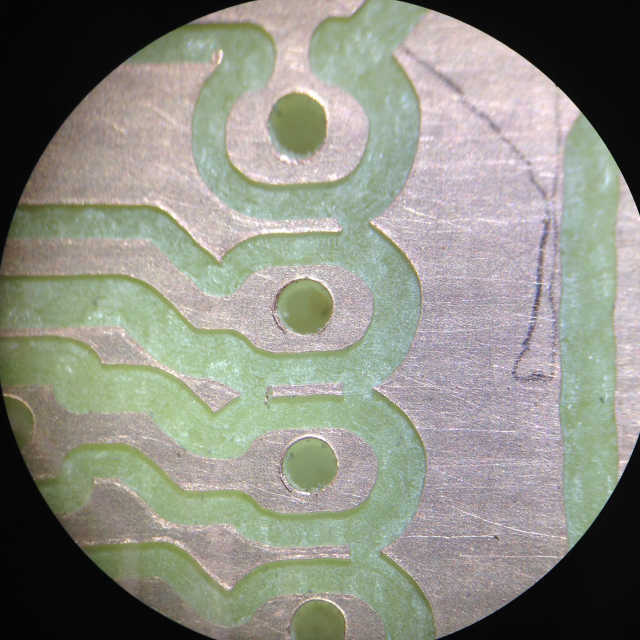 As a follow-up to my last post on Autodesk and Eagle, I did my first PCB isolation routing using the KiCAD and FlatCAM to LinuxCNC toolchain. I did schematic capture and board design on KiCAD and Gerber-to-GCode on FlatCAM. It took a few hours to get somewhat comfortable with the products and process. Some of it is still a bit fuzzy to me, but I got it to work anyway. I ran a ‘pen-test’ of the PCB last night (Video 1). I’ve seen this dozens of times, but it still fascinates me. I just finished drilling-and-routing the ‘real thing’ today. I used my new Tapered-stub Trace Isolation Tools from PreciseBits. The results were fantastic. You can see 20x magnification in Figs 2 & 3 – this was right off the machine with no sanding (I did go over it with a stiff, plastic-bristled brush to get off the loose debris). 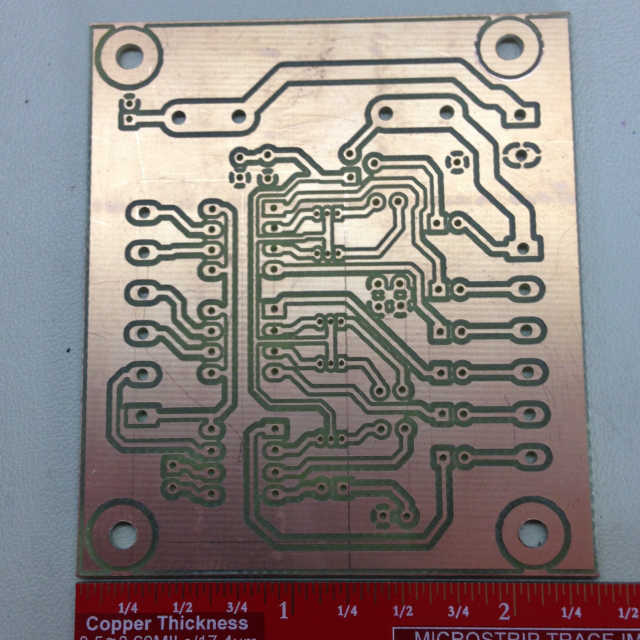 Overall, I’m pleased with the quality of KiCAD and FlatCAM to produce any type of PCB I’ll ever need. 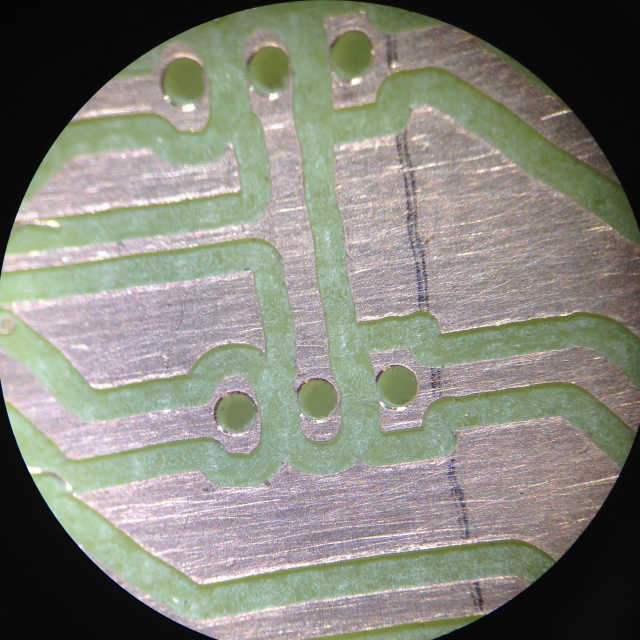 One final thought – yes, indeed, chemical etching can give much more precise results, and finer geometries, at the added cost of caustic chemicals. Where Isolation Routing wins big-time is the drilling of the holes. Believe-it-or-not, there are just over 100 holes in this damn board! I would really appreciate some more detail on your wrokflow. My linuxcnc errors when I try to load the gcode created in Flatcam. I only want to make a one-off board but it’s turning into a lot of work. I don’t recall selecting any post processor. I can tell you that my whole workflow is on Windows 10. Probably would have been good to mention that.